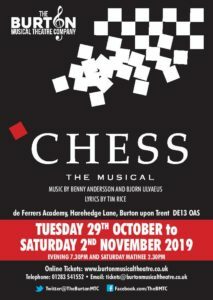 Tickets are now be available for Chess at de Ferrers Academy, Harehedge Lane, Burton on Trent, DE13 0AS. We are able to accept card payments through our online ticket sales page. Using the online system, you can choose your own seats and will receive a ticket by email for printing at home. Tickets range from £10 – £14 (plus a £1 booking fee per ticket if booking online). 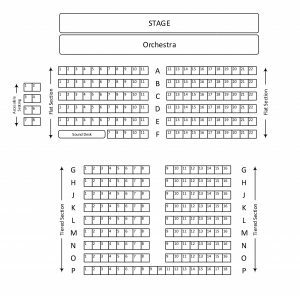 Tickets are also available by the traditional methods of telephoning 01283 541552 or by emailing tickets@burtonmusicaltheatre.co.uk – we can only take cheque payments by these methods but there is no additional booking fee (only the cost of a stamped address envelope). 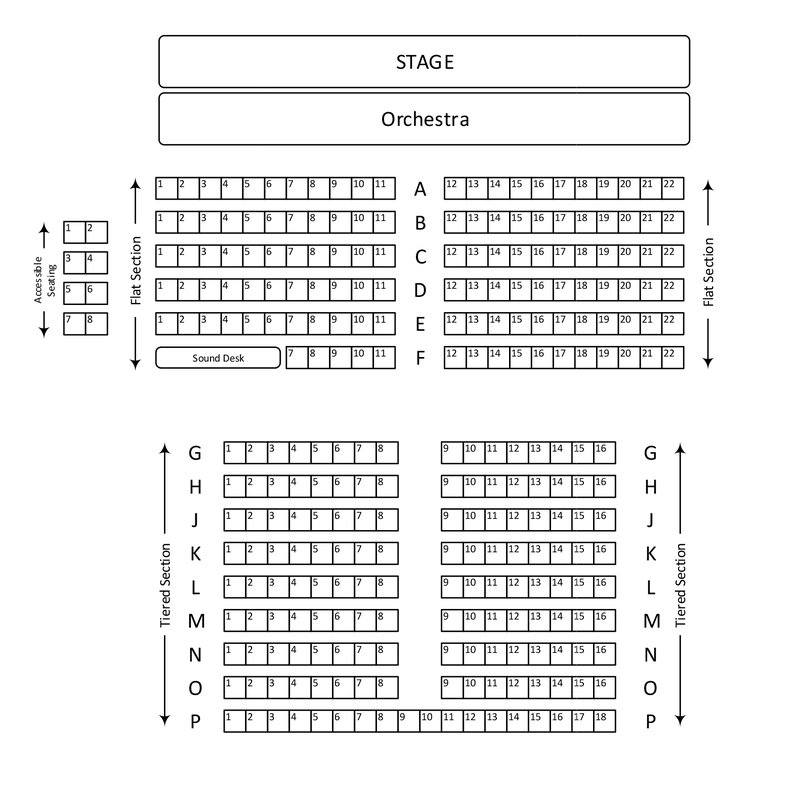 See the seating plan below when booking. 1 complimentary FREE ticket will be issued for group bookings of 10 or more tickets purchased for the SATURDAY MATINEE PERFORMANCE. Enquire when booking tickets on the phone or email. When booking online, the discount should be automatically applied.